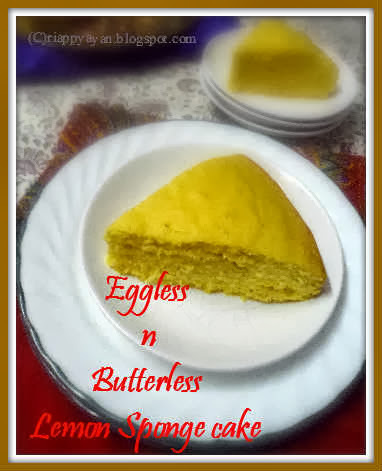 Let's move on my today's post, a basic sponge cake recipe for those who are beginners in baking. 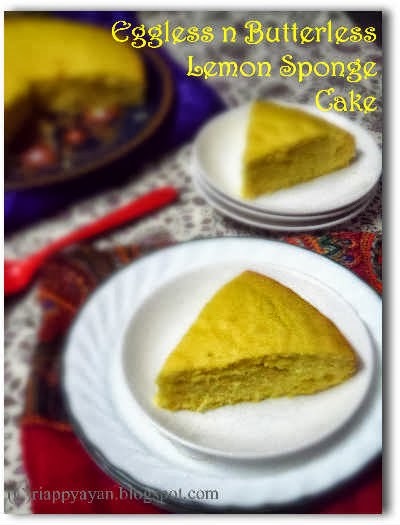 I have posted many cake recipes before,[check out my Baked Goodies page for all the recipes] but never posted this basic sponge cake recipe. So thought of posting this one today. This cake can be base for any kind of cake and you can add any flavours of your choice. This recipe contains no butter and no egg, totally vegetarian and healthy. I have tried this recipe from my fellow blogger "Veena's Curry World". 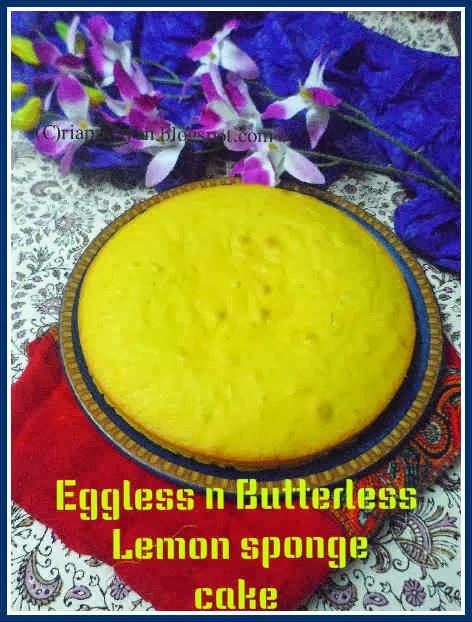 I have flavoured it with lemon and made Lemon Sponge cake.This is totally a keeper recipe and thanks Veena for sharing this healthy recipe with us. Preheat oven to 180C. Grease the baking try with vegetable oil or butter and set aside. 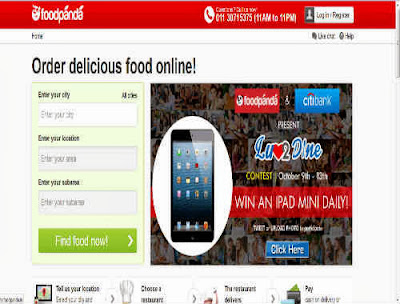 In a bowl add curd and beat well till the curd becomes very smooth without lumps. Then add sugar to this and mix well till the sugar dissolves. Now add baking powder and baking soda. Mix well and keep aside for 10 minutes. After 10 minutes you'll notice some bubbles on the top. To this add oil and lemon essence. Keep whisking until everithing is mixed well for 2 minutes. Then finally add all purpose flour to this mixture little at a time and fold until whole flour are used. Whisk the mixture until it looks smooth and creamy. Now pour this mix to the baking tray and level the top. Tap the tray lightly on the counter get rid of the big air bubbles. Place the tray in the preheated oven and bake for 25-30 minutes, after 25 minutes insert a toothpick in the centre to check is it is done. If the toothpick comes out clean without any crumbs, then it is done. If you see the center is still moist, tehn bake for some more time. Remove from the oven and keep aside to cool. Lovely post ria .Butterless good to hear so i can make it .hurray!!! !